Search through a dazzling trip down memory lane. Say goodbye to your little shop, and get ready for an exciting future, in Little Shop: Memories, the latest chapter in the hugely popular Little Shop series of hidden object games. When the opportunity to open a Little Shop in paradise comes knocking on your door, you just can't resist! But there are so many memories in your Little Shop it's going to be hard to leave. Search through your memories and discover photos, trinkets, and other keepsakes from your journey to become a successful Little Shop entrepreneur. Explore 12 vivid environments covering five decades from your past. Remember that first lemonade stand in the 60's where you first got the buzz for business? 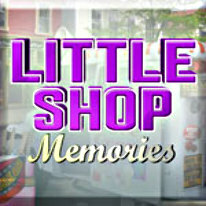 Featuring two great game modes, exciting Bonus Rounds, and a nearly endless variety of cleverly hidden objects, Little Shop: Memories is a dazzling trip down memory lane.